With the launch of Apple’s 10th anniversary handset just around the corner, there’s been plenty of talk around how much the iPhone X will cost. Australians will have to wait until the wee hours of September 13 to see the iPhone 8 launch and find out what the damage is. Estimates have put the number at around AU$1,500, including our own, but a survey of 1,000 Australians conducted by WhistleOut – a phone and internet plan comparison site – has found that folk Down Under are willing to pay an average of $920 for the handset, less than two-thirds of the estimated cost. The survey also found that the average amount Aussies are willing to pay for an iPhone 8 plan is about $75, with an expected average monthly data allowance of 10GB included. WhistleOut, however, estimates that plans for the new flagship could be around the $100 to $200 mark for that bracket of data allowance, and our own analysis has predicted the cheapest plan to only just slide in under $100 at $99 per month. These estimates have been based on extrapolations from launch prices of the older models of the iPhones and the cost of current contract plans. The statistics from the survey indicate that 49% of Aussies interested in the 10th anniversary iPhone are willing to buy it outright, while the remaining 51% would rather get it on a contract plan. According to the survey, some Aussies are willing to pay the estimated amount of $1,500, but no more. The same group is also happy to pay up to $150 per month for a contract plan, if they opt for one. Demographic statistics from the survey indicate it’s the 18-24 year-olds who are willing to buy the phone outright for an average cost of $1,015 or pay $76 a month on contract, while 45-54 year-olds don’t seem to want to pay more than $803. Aussies between 34 and 44 years old seem happy to pay up to $85 a month for an iPhone 8 contract plan, more than the younger age bracket, but those above 55 years of age didn’t want to spend more than $68 per month. 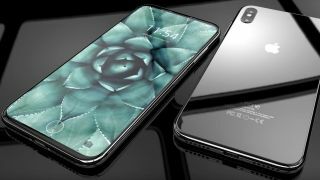 If you think the iPhone 8, or iPhone X, could burn a massive hole in your pocket, Apple could be launching cheaper iPhones on the same day. Read our hands-on review of both the iPhone 8 and iPhone 8 Plus.